Pioneer Design Studio, (Lilydale, Victoria, 1978).. First Edition; Oblong 4to; pp. 144; illustrated endpapers, colour frontispiece, profusely illustrated throughout, references, index; small tear near spine on dustjacket; a very good copy. 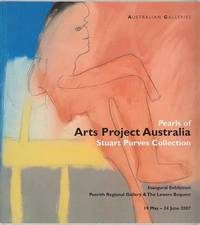 Pearls Of The Arts Project Australia. : Stuart Purves Collection. Inaugural Exhibition Penrith Regional Gallery & The Lewers Bequest 19 May - 24 June 2007. DABORN, SHIRLEY; EGAN, FIONA; LOXLEY, ANNE; Editors. (Collingwood, Australian Galleries, 2007). . First Edition; 4to; pp. 68; profusely illustrated; original stiff illustrated wrapper, minor marks to page edges, otherwise a fine copy. 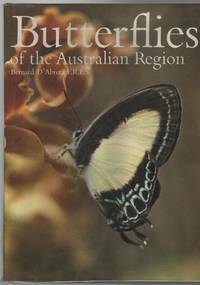 Butterflies Of the Australian Region. Melbourne, Lansdowne, 1971.. First Edition; Lge. 4to; pp. 415; beautiful colour illustrations; acknowledgements, selected bibliography, index; dustjacket; minor chipping to corners, otherwise a near fine copy. Wonderfully illustrated and described throughout. Interesting chapter on collectors including Alfred Russel Wallace. Melbourne, Lansdowne, 1971.. First Edition; Lge. 4to; pp. 415; beautiful colour illustrations; acknowledgements, selected bibliography, index; dustjacket; inscribed by the author on title page, a near fine copy. Wonderfully illustrated and described throughout. Interesting chapter on collectors including Alfred Russel Wallace. 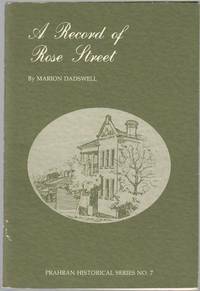 A Record Of Rose Street. : Prahran Historical Series No. 7. 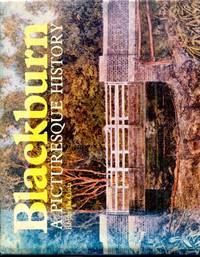 Prahran, Prahran Historical And Arts Society, 1985.. First Edition; 8vo; pp. 68; portrait frontispiece, illustrations throughout; stiff stapled illustrated wrapper, a very good copy. n.p., (National Library of Australia), n.d.. 8vo; pp. xiv 192; profuse illustrations, bibliography, index; original stiff illustrated wrapper; cocked spine, damaged bottom back of wrapper; otherwise a very good copy. Inscribed by the author. The Mediaeval World. 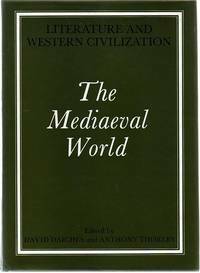 : Literature and Western Civilization. DAICHES, DAVID; THORLBY, ANTHONY; Editors. London, Aldus Books, (c1973). . First Edition; 4to; pp. 725; index; original cloth, minor marks to dustjacket, some flecking to top edge of pages, otherwise a very good copy. 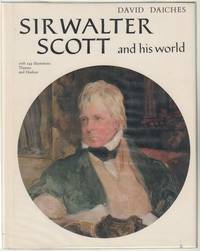 Sir Walter Scott And His World. London, Thames and Hudson, (c.1971). . First Edition; Sm. 4to; pp. 143; frontispiece, 144 illustrations, index; original cloth, minor marks to dustjacket, a good copy. Charles Edward Stuart. : The Life And Times of Bonnie Prince Charlie. London, Thames and Hudson, (1973). . First Edition; 8vo; pp. 336; map endpapers, 16 pages of b/w plates, bibliography, acknowledgments, index; original maroon cloth, title lettered in gilt on spine and front, dustjacket, price clipped, flecking to page edges, a good copy. Stratigraphy, Structure And Metamorphism Of The Kanmantoo Group (Cambrian), In Its Type Section East Of Tunkalilla Beach, South Australia. 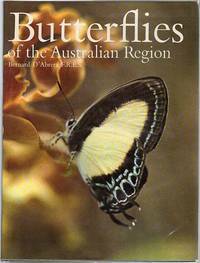 : Contained in Transactions Of The Royal Society Of South Australia. Vol. 97 Part 3 31 August, 1973. DAILY, B; MILNES, A. R.
Adelaide, State Library Building, 1973.. 8vo; pp. 213-251; b/w illustrations, 3 fold-out maps, references; stiff stapled wrapper, spine faded, a good copy. Australian Seashores. : A guide for the beach-lover, the naturalist, the shore fisherman, and the student. Sydney, Angus And Robertson, (1953).. Reprint; 8vo; pp. xii, 372; colour frontispiece, numerous b/w illustrations, index; original cloth, chipped dustjacket, flecking to page edges, ex-libris bookplates, a good copy. The McCays Of Castlemaine: Ninety Years Of Community Service, 1866-1956.: Contained In The Victorian Historical Magazine. Issue 121. Vol. XXXI No. 1. August, 1960. Melbourne, The Historical Society Of Victoria, 1960.. 8vo; pp. 80; protrait frontispiece; original stiff stapled wrapper, a very good copy. Melbourne's Churches and Cathedrals. : Contained In The Victorian Historical Magazine. Issue 130 Vol. XXXIII No. 2. November, 1962. Melbourne, The Historical Society Of Victoria, 1962.. 8vo; pp. 299-331; 4 b/w illustrations, references; original stiff stapled wrapper, a very good copy. Hon. Samuel Mauger (1857-1936) A Great Humanitarian. : Contained within the Victorian Historical Magazine. Journal and Proceedings of the Royal Historical Society of Victoria. Issue 104. Vol. XXVI, June, 1955, No. 4. Melbourne, The Royal Historical Society of Victoria, 1955. . First Edition; 8vo; pp. 139-152; original stiff stapled printed faded wrapper, page edges browned, otherwise a very good copy. Dr. Singleton Lives On. Victorian Pioneer, Physician, and Philanthropist. : Contained within the Victorian Historical Magazine. 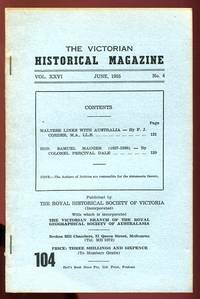 Journal and Proceedings of the Royal Historical Society of Victoria. Issue 103. Vol. XXVI, March, 1955, No. 3. Melbourne, The Royal Historical Society of Victoria, 1955. . First Edition; 8vo; pp. 81-101; original stiff stapled printed faded wrapper, page edges browned, otherwise a very good copy. Queensland Museum, 1973.. 4to; pp. 64; b/w illustrations, maps, glossary, further reading, index; stiff stapled illustrated wrapper, edges of wrapper bumped, a good copy. The Industrial History Of Broken Hill. First edition; Cr. 8vo; pp. 272; 23 b/w. photographs, advertisements, original wrapper, faded spine, wrapper a little damaged, inked name on top of title page. Melbourne, Fraser & Jenkinson, 1918. First edition. Rare. The English Men. 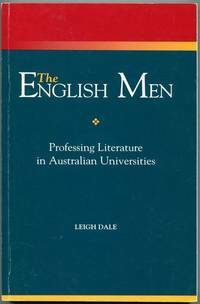 : Professing Literature In Australian Universities. 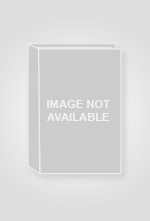 (Toowoomba), Association for the Study of Australian Literature, (1997). . First Edition; 8vo; pp. x, 242; endnotes, index; original stiff illustrated wrapper, spine creased, otherwise a very good copy. Seventy North to Fifty South . 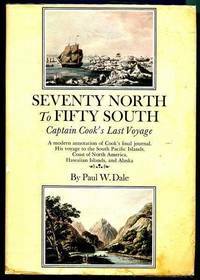 : The Story of Captain Cook's Last Voyage. Wherein Are Discovered Numerous South Pacific Islands, The Hawaiian Islands, The Coast of North America, and Alaska. 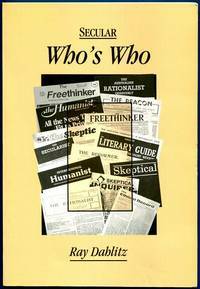 Condensed, Edited, And Annotated by Paul W. Dale. Englewood Cliffs N.J., Prentice-Hall, Inc., (1969).. First Edition; Sup. Roy. 8vo; pp. xiv, 370; endpaper maps, frontispiece, 29 illustrations (11 double-page), 8 double-page maps, bibliography, index; original cloth, marks to dustjacket, a good copy. Hon. Samuel Mauger (1857-1936). A Great Humanitarian. : Contained in The Victorian Historical Magazine. Issue 104 Vol. XXVI No. 4. June, 1955. Melbourne, The Royal Historical Society Of Victoria, 1955.. 8vo; pp. 139-152; stiff stapled wrapper, edges of wrapper and pages browned, otherwise a very good copy.